Is anyone here going to have a booth or similar at the Tour de Scottsdale this weekend? If so, would you be willing to have fliers and maybe hang a 6x6 banner for No DDC? If you dont know, the Desert Discovery Center is a proposed tourist event center to be built at Gateway in the McDowell Sonoran Preserve. It is a violation of the Preserve Ordinance, would use Preserve funds to be built and operated, and the Scottsdale City Council refused on Sept 19 to recognize the citizens have the right to vote on this as per the Scottsdale City Charter Article 8 Section 11. I am one of the principals for the group trying to get this thing to a vote - No DDC. Please look at our page, or ask me any questions if you'd like to know more. Given the purpose of TdS, one would think there would be big signs and banners around the venue advocating NODDC. Good luck! 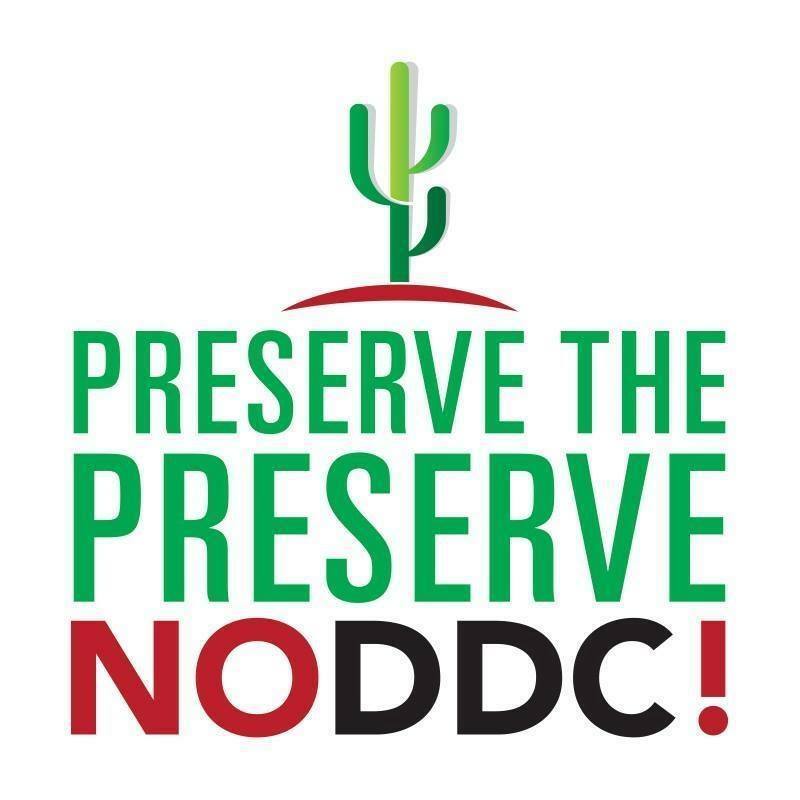 actually the McDowell Sonoran Conservancy, which is one of the key beneficiaries of the TdS, is in favor of the DDC. But its been highly controversial within their ranks too, they've been very heavy-handed telling Stewards they are not allowed to talk about it. My wife is waking up at 3am to go volunteer at TdS. She is also a trail steward and nobody heavy-handedly told her she is not allowed to talk about the Desert Discovery Center. I'm curious why we should believe what you say, when you chose not to post links to the City of Scottsdale site that offers valuable information about the Discovery Center, so everyone can read it and decide how they feel. I support the center. All of us see people abusing the preserves. They litter and walk in groups, shoulder to shoulder, not aware of others approaching behind them as they block the trails. There are a lot of young people who could use an educational center to learn what their responsibility is when entering the preserves. Schools could bring students to the center and teach them valuable information they need to know. No trails will be closed. Mountain bikers will not lose any access to trails. They already raised the funds they need to pay for it. It won't take away funding from the new trail head at Pima and Dynamite. Traffic won't be a problem. I give this project a 90% chance of being built. With the cash they've raised, and the politicians on board, you might think about throwing in the towel.